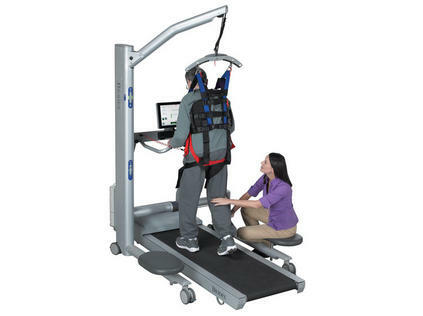 While essential to invest in equipment and training to prevent patient falls, it is equally important to protect therapists, rehabilitation nurses, caregivers and visiting family from injury when lifting or supporting a patient. Biodex safe patient handling & mobility devices promote rehabilitation and facilitate functional recovery – while maintaining safe conditions. 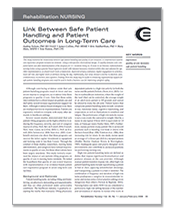 Learn more about the relationship between safe patient handling and quality of care measures. Safe Patient Handling & Mobility equipment and technology promotes not just safety, but faster recovery. See our infographic for the facts. 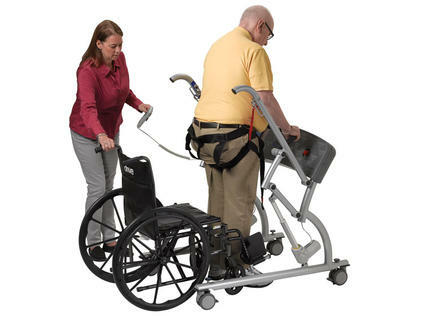 Used to help therapists, nurses and caregivers work with patients who have difficulty with ambulation; Mobility Assist™ is a motorized stand-assist device and walker in one. 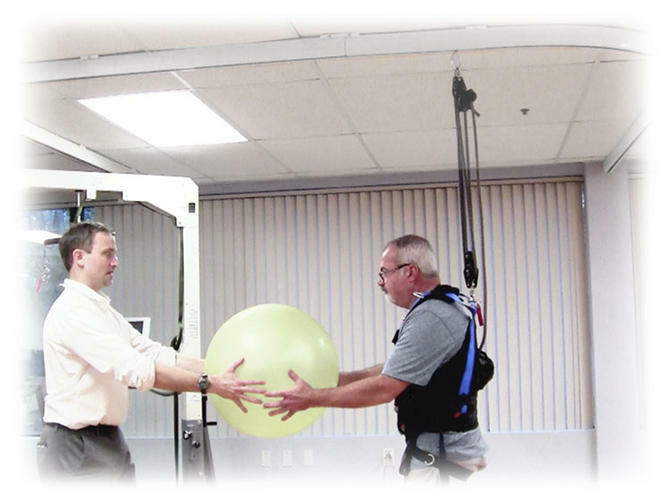 Supporting correct biomechanics, patients are upraised from a seated to standing position while in a safety harness. Once standing, if they can move their legs, they can walk with Mobility Assist. Supports full and partial weight bearing for early stage rehabilitation, without compromise to proper gait kinematics. The dynamic, single-point suspension accommodates pelvic rotation and vertical displacement to allow functional gait patterns to be practiced. The open frame design allows full visibility when over a treadmill or gait trainer and encourages therapist assistance and observation.